They go by many names: Vampires, Nosferatu, The Dark Ones, the Children of the Night. They are the stuff of legend. They occupy our nightmares and fascinate our waking thoughts. But what is it really like to be a vampire? What is it like to exist in a world ruled by mortals? Over the course of one intense month, author Paul Voodini tracked down these vampires and interviewed them, finding out in fascinating, personal detail what it means to be a creature of the night. These are not the demonic creatures of horror films, nor the angst-ridden playthings of romantic novels. These are Vampires, and they are Survivors! Be prepared to meet Nancy Beck, turned during a vampire feeding frenzy in a London hospital in 1851, who exchanged her newborn child for a dark, eternal life. And Jessica Cooper, turned as teenager and doomed to wait for ever for her lost love. The monstrous Lady Jane Cunningham is definitely to be avoided, but you can’t help feeling a touch of tainted sympathy for the ‘natural-borns’ Aya and Dibs Varga, driven from their home in Budapest by Vatican sponsored vampire hunts. And there’s Edwin Simone, turned on the Somme battlefield. Carlyle Dannennfesler from New York, turned in 1840 and now an investment banker. Georgina Strong, who solves for us the identity of Jack the Ripper. 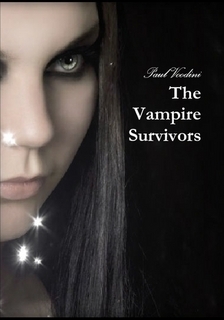 The Vampire Survivors is available here, price £9.99.